Forest School Swansea Neath Port Talbot was set up in 2001 as a charity and company limited by guarantee aiming to provide Forest School opportunities for children and young people across the whole of Swansea and Neath Port Talbot. Our aims are to raise self esteem and self confidence and raise awareness and appreciation of the natural environment. We have run long term projects made up of weekly sessions for up to year for example with Clwyd Primary School, Swansea Youth Offending Service, Maes y Coed special school and Calan DVS. – “That was the best party…EVER!” – Tom (age 8) More details here or Contact us to book. We are excited about spreading the knowledge and training others to deliver Forest School and use the outdoors for learning and play. We offer a wide range of Outdoor Learning and Forest School courses both unaccredited and fully accredited by Agored Cymru. Many of our courses are also now accredited by the Institute for Outdoor Learning. We can design bespoke training for groups or schools across all Key Stages. Find out more about Inset days. We have a variety of special Forest School sites across Swansea and Neath Port Talbot so we can match a group to the best site for their needs. The woodlands are provided by The Penllergare Trust, City & County of Swansea, Neath Port Talbot County Borough Council, Natural Resources Wales, Llys Nini Animal Centre, Woodland Trust and Wildlife Trust of Wales. 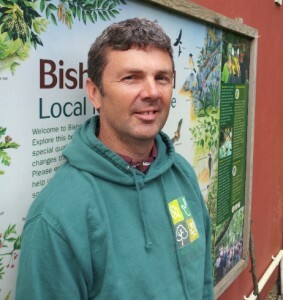 The Director of Forest School Swansea Neath Port Talbot, Chris uses his experiences in Nature Conservation, Training, Social Enterprise and Primary Education and his passion for wilderness to continue to develop the organisation. He was involved with Forest School SNPT from the very beginning as he was one of the founding Trustees. He went on to train as a Forest School Leader in 2003 leading projects for over 4 years. Holli is the project support officer at Forest School, looking after all projects, administration and generally keeping things ticking over. She brings many years’ experience of project management in social enterprise, the charity sector, and the arts. 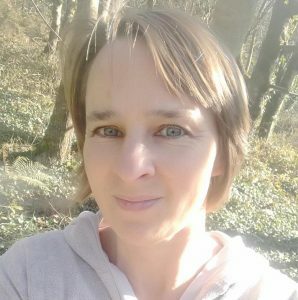 With a degree in Environmental Education and a PGCE in Secondary Education, Karen brings a woodland management and science background to her role. She runs Seedlings sessions and delivers training at all levels. 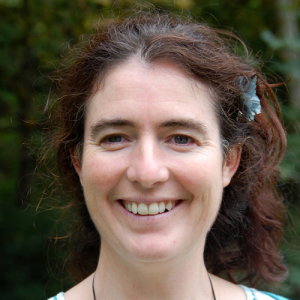 Pixie has been a Forest School leader since 2002 and has been a part of Forest School SNPT’s inspiring and nurturing team ever since. A lot of her childhood was spent playing outdoors and having all sorts of adventures in wooded and wild places. She feels passionately that is vital for us to enable and encourage children today to connect with the natural environment. We have a fantastic team of sessional Forest School Leaders and Assistants who work for us. If you are interested in working with us visit our Training Courses for guidance on the relevant qualification you’d need and then get in touch. Some volunteers come out to Forest School sessions and support staff on a regular weekly basis and others for occasional days now and then. To find out more about becoming a volunteer visit our Volunteering page. There are lots of other ways to support us. Follow us on Facebook and Twitter and share our news. Spread the word about the great benefits of Forest School and getting children outside (see for example The Wild Network) . Sign up to our newsletter for regular updates about what is going on. Make a small donation via our Local Giving site. The Management Committee meets every three months to oversee the running of the organisation. There are currently 6 members who are also Directors of the company plus some advisors and observers from client groups and partners, giving us support and ensuring our users have a voice in the management of the organisation. 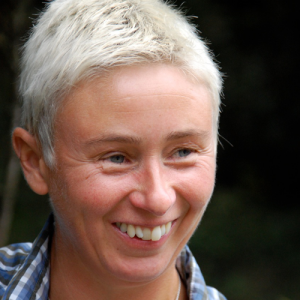 Jess Kidd is the current Chair of Forest School SNPT. All staff and volunteers working with our clients have undergone a Disclosure and Barring check.